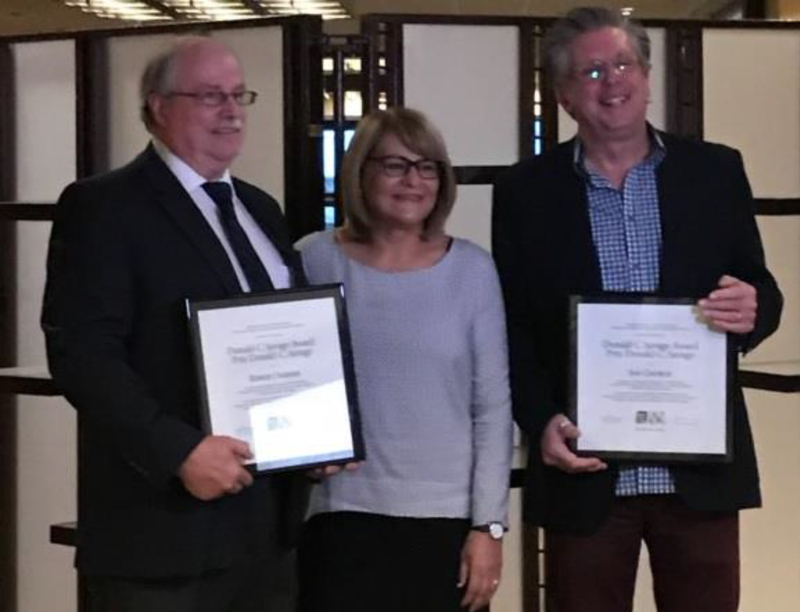 Two members of The Association of Nova Scotia University Teachers (ANSUT) Council were honoured recently for their outstanding service to the university community and beyond. Dr. Robert Farmer, Associate Professor, Accounting and Finance at Mount Saint Vincent University was awarded the Donald C. Savage Award at the Canadian Association of University Teachers (CAUT) Council Meeting in Ottawa on November 25. Dr. Marc Lamoureux has received the President’s Award for Exemplary Service at Saint Mary’s University, where he is an Associate Professor of Chemistry. The Donald C. Savage is presented annually to honour and recognize outstanding achievements in the promotion of collective bargaining in Canadian Universities and colleges. Farmer has taken increasingly responsible roles in collective bargaining since 2007 – as a team member, financial member and twice as chief negotiator. “Collective bargaining can be a particularly onerous task,” Stewart says, “so it is absolutely essential to have dedicated and trained faculty willing to devote considerable time to that effort. And Robert certainly fits that bill as an accountant and a regular participant in regional and national collective bargaining workshops.” A CAUT release confirms that Farmer “has established a reputation as an able, innovative chief negotiator and is recognized for his fairness, responsibility and integrity as evidenced by his election to multiple terms on the MSVUFA executive and key university committees”. Farmer plays an active role on the ANSUT Council, and is also a member of the CAUT Collective Bargaining Committee. 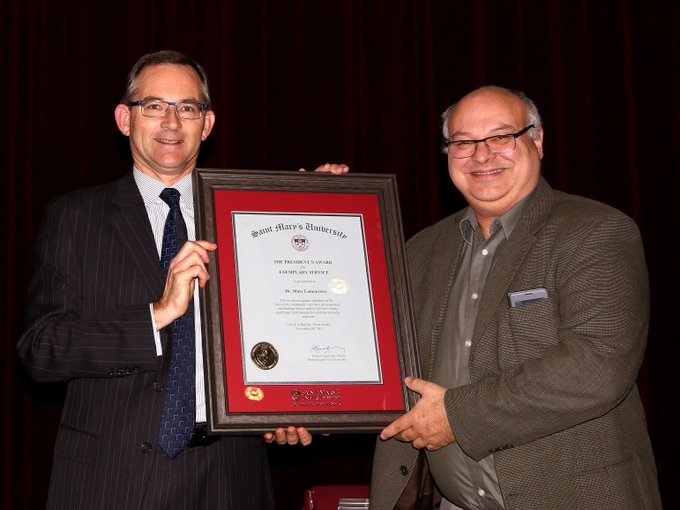 Lamoureux was presented with the Saint Mary’s University President’s Award for Exemplary Service at an assembly held on November 30. “Marc is absolutely dedicated to advancing justice and fairness through the union movement. No matter how large or small the event, Marc can be counted on to be there and to stand up for the rights of academic staff, and for the interests of post-secondary education in general.” Lamoureux has held positions on Saint Mary’s University Faculty Association including two terms as president. He has also served two three-year terms as President of ANSUT, and is very active in the Francophone Conference sponsored by CAUT.